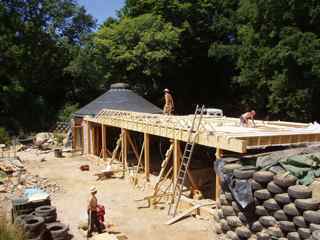 Grand designs has always been one of my favourite home development TV shows. I always get a rush of sudden excitement when I see the show is about to start. 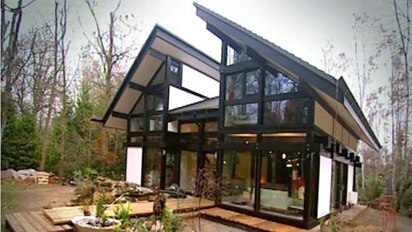 Another episode which springs to mind is the episode featuring the Huf Haus. These kit houses are manufactured in Germany, and a team of German men come over to build the house, which takes them just seven days! Huf Haus is a spectacular design home, which is unique to fit your individual requirements. Every socket and light switch is pre-designated and assigned during the manufacturing process. I always remember the Huf Haus on Grand Designs being furnished with fantastic interior design elements in the style of Le Corbusier and Makintosh. I love the design of this Huf Haus pictured above. The glass to the front of the property is sure to flood natural light in! And, check out the stunning interior below – that colourful wall looks stunning and so individual to the home owners interest and great taste in art! More pictures of this Huf Haus can be found on the Grand Designs Huf Haus gallery. What do you guys think to these two projects? Did anyone see these first time round? Feel free to share, like and comment! Yesterday, I was searching the internet for something cool and funky to share with you guys. 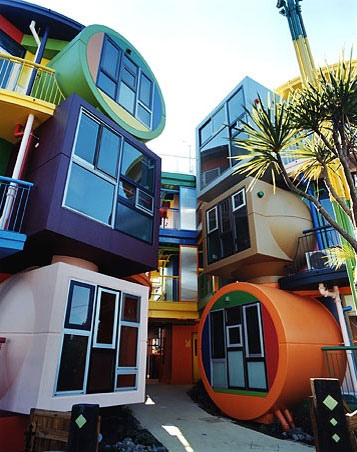 I came across the following and thought how cool, bold and different are these houses?! 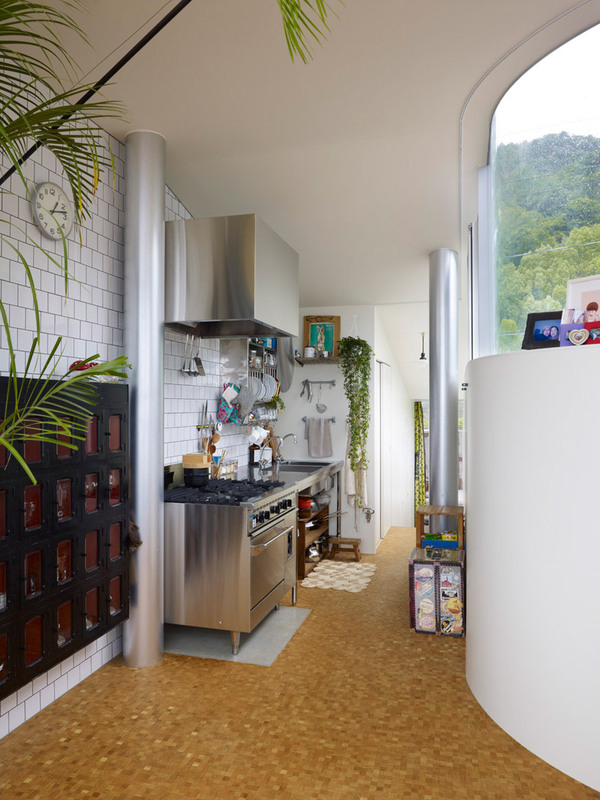 Here at Home Desirable, we couldn’t personally see ourselves living in one of these unusual homes – it would probably be like living in ‘Balamory’ – but these homes were too good not to share! 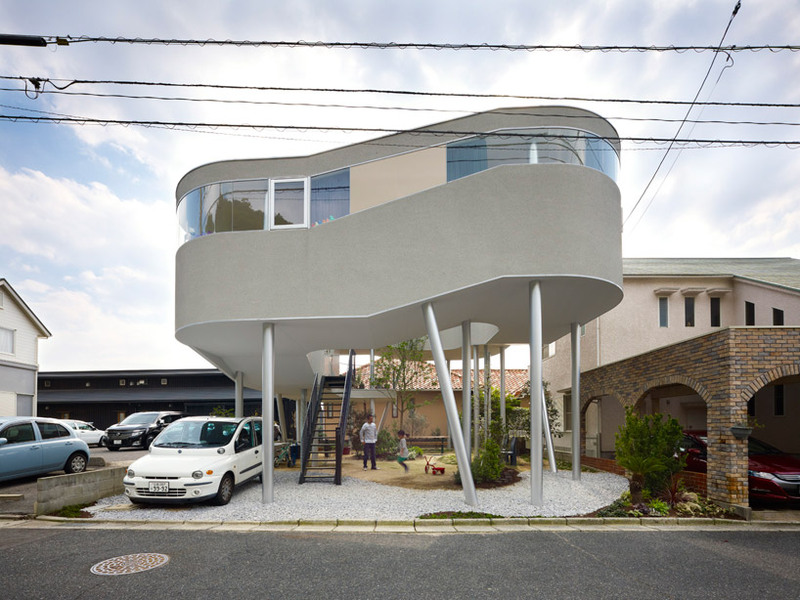 What do you think to these houses? Things I need Friday: To win the Euro Millions! One of my biggest dreams is to live in a castle conversion. I love this castle, which I would love to convert in to a grand home – kitted out with luxurious décor of course! Above is the Ruperra Castle, which is located in Newport, Gwent. 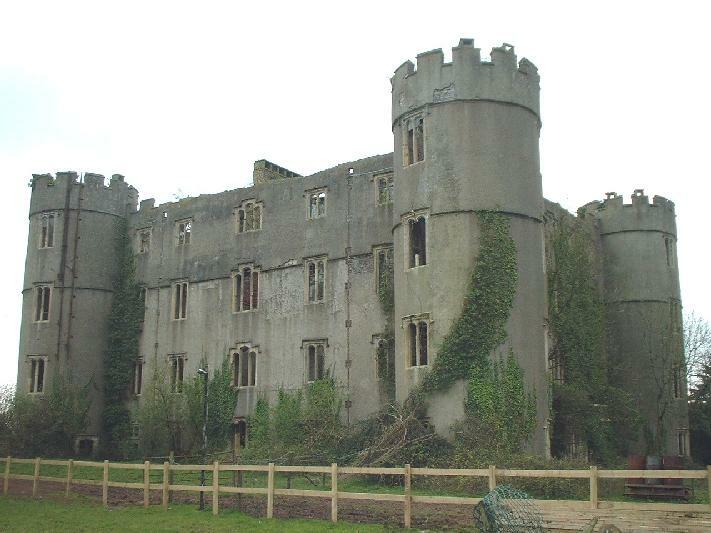 Ruperra Castle is a Grade I listed building and Scheduled Ancient Monument. According to my research, Ruperra Castle was built in 1626 by Sir Thomas Morgan, who was Steward to the Earl of Pembroke. Ruperra Castle has played host to royalty, King Charles I stayed at Ruperra Castle in 1645 – shortly after the Battle of Naseby. 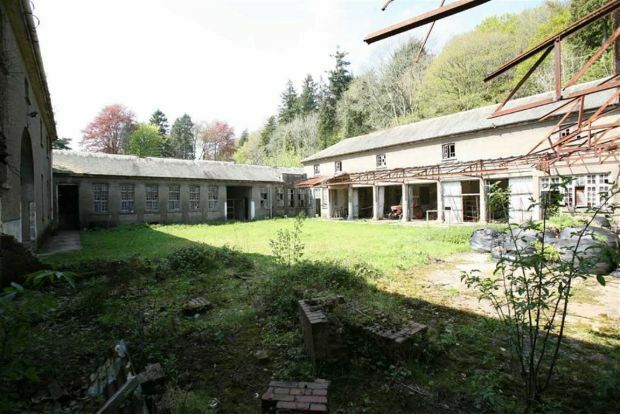 Unfortunately, this huge property has been left to the elements and has fallen in to a derelict state. 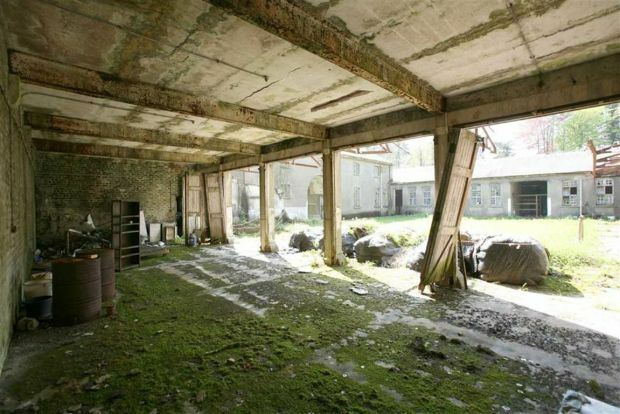 According to my resources, the Ruperra Castle was actually gutted in a fire while British soldiers were stationed there. 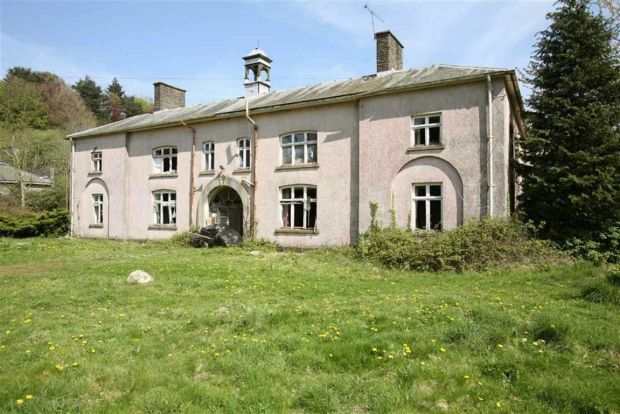 This fabulous property comprises of a Grade I listed castle (which requires total renovation – hence me needing to win the Euro Millions), a house, a substantial stable block and around 14 acres plus of land. 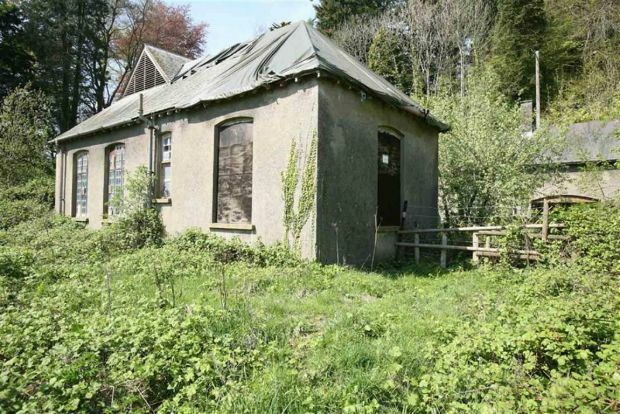 I would snap this property up in no time if I had the funds to see the renovation through. 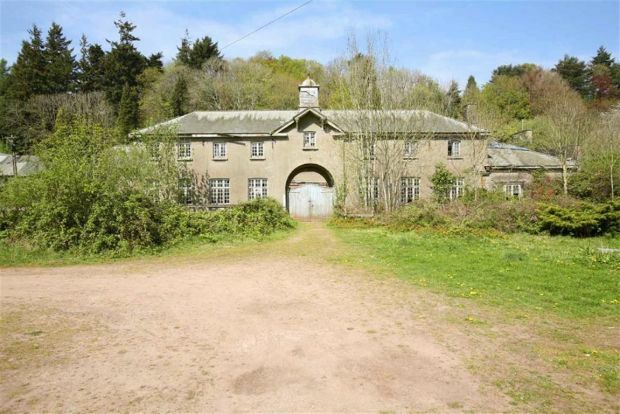 I love the fact it is a substantial property, with a vast array to offer. 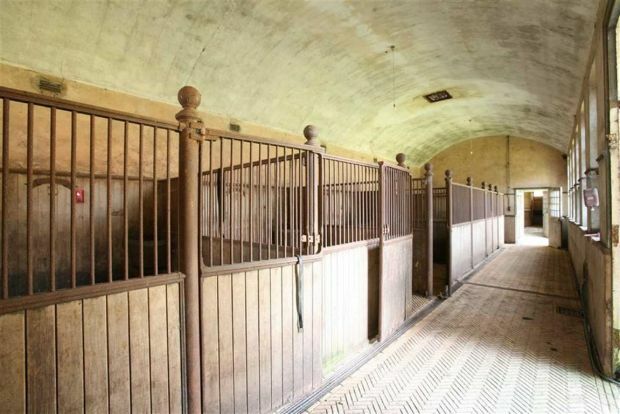 The stables (pictured below) are fantastic – although I have always wanted my own cattery (or rescue centre for cats or dogs), so I guess they would have to go – or I could just get a few Unicorns, seen as it’s my dream! See below for numerous other pictures of this fantastic property. Have any of you guys got any BIG home renovation dreams? Feel free to share! If you’re like Kelly and I, then you’re probably thinking ‘was that paranormal activity’ that just happened?! Kelly and I seem to have weird goings on in our house, quite regularly. However, neither of us are actually 100% convinced that their actually is a ghost – despite light bulbs being removed from their fittings every now and then. Other things which have been unexplainable in our home include why on earth the storage heaters turn themselves off at the switch (even though I have OCD and check that they’re ‘definitely’ on before going to bed). Also we encounter the sound of banging – which could be the neighbour above (even though it sounds like its from another room of our house), as we do live in a flat!) Also, we have both heard something in the cat litter, despite both our cats being sat next to us (personally, I like to think that this is our late cat popping down to let us know she is here with us). At the moment, I am yet to believe my home is haunted! I’m not suggesting ghosts, demons and so on don’t exist – maybe they do! 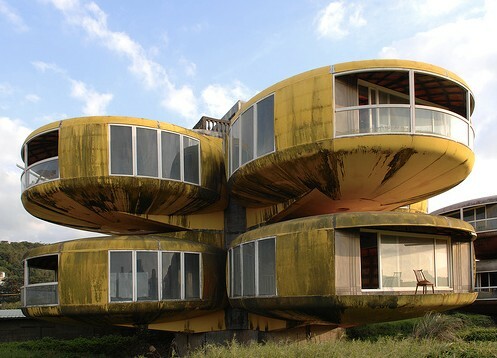 I read about a housing development in Taipei, Taiwan, where these fabulous 80’s retro houses are built. 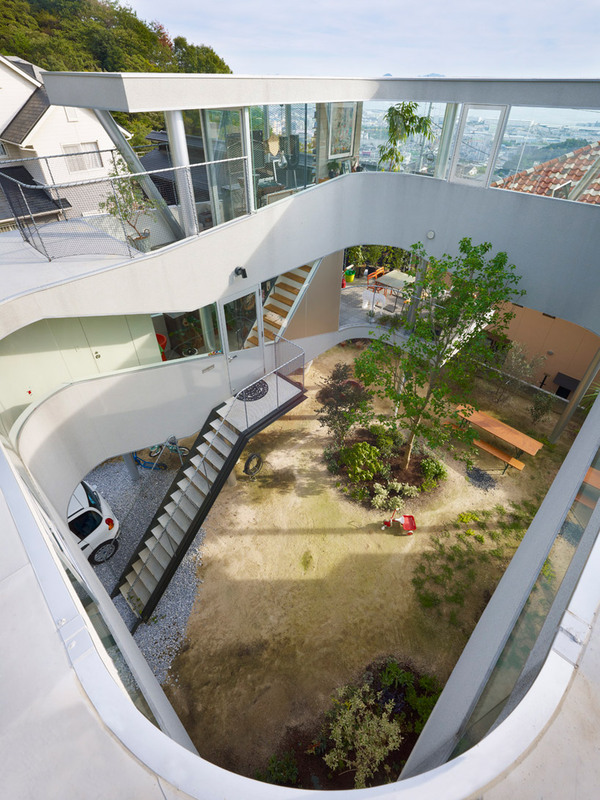 They look fantastic, and boast futuristic design – despite being built years ago! I read that these peculiar looking homes were ‘supposedly’ causing mysterious deaths during construction, so the developers decided to quit building these homes. Apparently the land which these homes are built on is haunted! 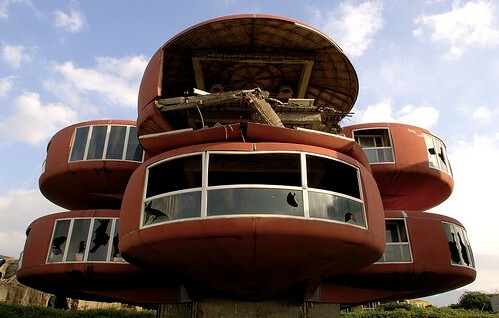 These San Zhi haunted houses were designed and built with the purpose of becoming homes to the rich. I reckon these fantastic ‘the Jetsons style’ futuristic domed shape homes would have been fantastic to live in. Imagine a round bed in the master bedroom – it would make the room seem even more circular! As you can see from the pictures, which I borrowed from here and here, these unusual houses have been left abandoned and unfinished. These homes appear to look very eerie and spooky. I’m definitely going to have to visit this place sometime, I find it fascinating and intriguing. 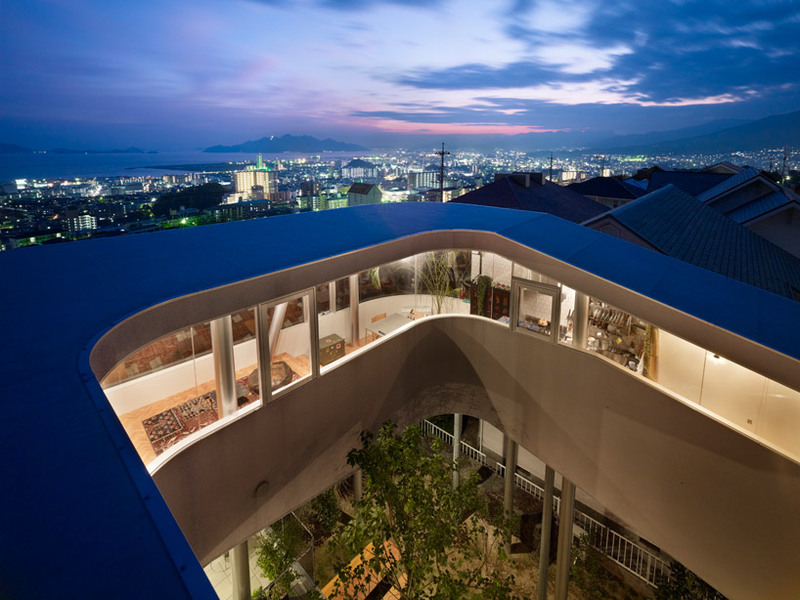 What do you think of these cool homes? Wouldn’t you just love to own one of these? – spooked or not spooked! Le Corbusier is one of my most influential icons from when I was growing up. I always wanted my mum to swap those molly floral settees for an expensive Le Corbusier chaise lounge – she never did (probably due to the price). 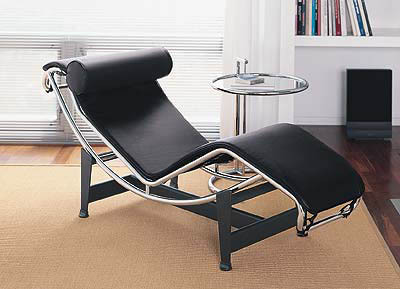 In my teens I would dream of having that must have chaise lounge by Le Corbusier. His impact on the furniture industry will most probably never be repeated – not in my opinion anyways! 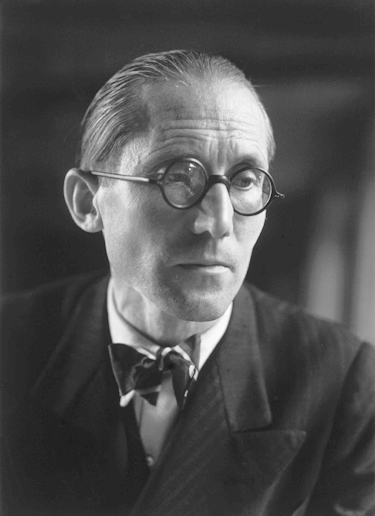 Well, Le Corbusier (born Charles- Édouard Jeanneret-Gris 1887-1965) was a French-Swiss architect, designer and painter. Le Corbusier is most definitely renowned for his pioneering of modern architecture and international style. Whilst studying at La-Chaux-de-Fonds Art School in Paris, Le Corbusier was given training under well known individuals such as Jason Hoffman. Le Corbusier was significantly influenced in his early style by his associates, Mies van der Rohe and Walter Gropius. In the 1920’s, Le Corbusier focussed on painting rather than architecture. Le Corbusier had an interest in Purism, which later influenced his architectural style, as well as his planning of urban communities. In 1922, Le Corbusier proposed a plan for a ‘contemporary city’ which would inhabit 3 million people. Le Corbusier believed strongly in efficiency and equality in his designs. He expressed these ideologies in his L’Esprit Nouveau, which published around 1923. In 1935 Le Corbusier published The Radiant City, which proposed a revolutionary plan of housing according to the number of family members rather than economic status of the family. Le Corbusier also designed various buildings around the world. Some of these buildings include the Heidi Weber Museum in Switzerland, Unité d’Habitation in France, the United Nations Headquarters in New York City and the Pavilion in Belgium. I love the modern appeal, chrome aspects and the over all look of the chair. It looks so simple, yet inviting – and that bolster cushion head rest makes me want to chillax out with a book. Whats your favourite piece of Le Corbusier furniture?